IPv6 addresses have changed. Follow the below topology diagram and tasks to accomplish the goals. Remove all RIPng configurations. In the upcoming tasks, follow the addressing scheme using RFC 4193 presented in the topology diagram above. 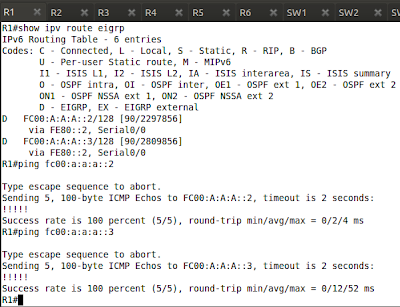 Enable IPv6 address on Loopback 0 of R1, R2, and R3. Use the address FC00:A:A:A::x/128 where 'x' is the router number. Enable EIGRP AS 1 on the NBMA network between R1, R2 and R3. 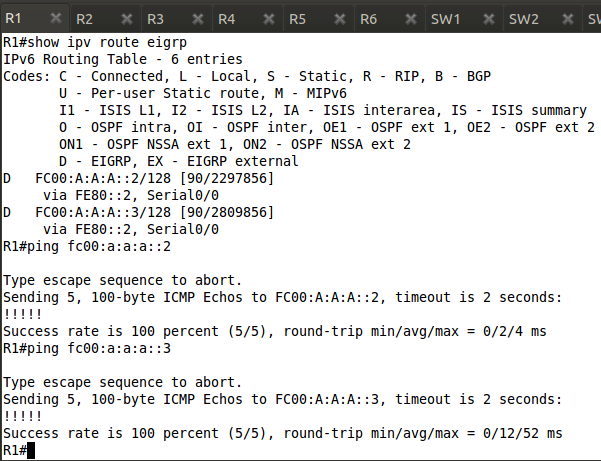 Ensure IPv6 connectivity between the loopbacks of R1, R2, and R3. 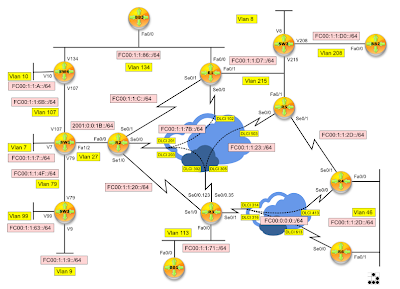 Pic.02 - R1 IPv6 Connectivity.